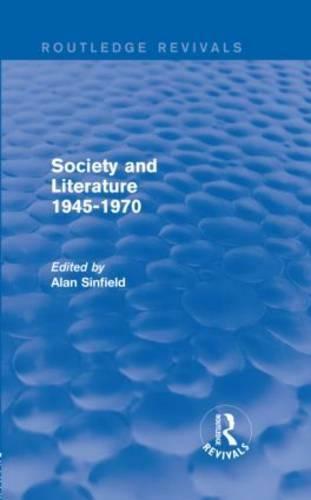 First published in 1983, this book focuses on the twentieth-century writer as both a product, and an interpreter, of his or her society. It explores the social basis of our conceptions of literature and the ways in which writing is affected by the media, institutional and technical, through which it reaches readers. The text looks at experiences of the period in terms of domestic and world affairs, sexuality, and philosophical and religious attitudes. It discusses the social and economic structures which specifically affect the act of writing, and considers the dominant developments of the period in three genres: novels, poetry and writing for theatre.